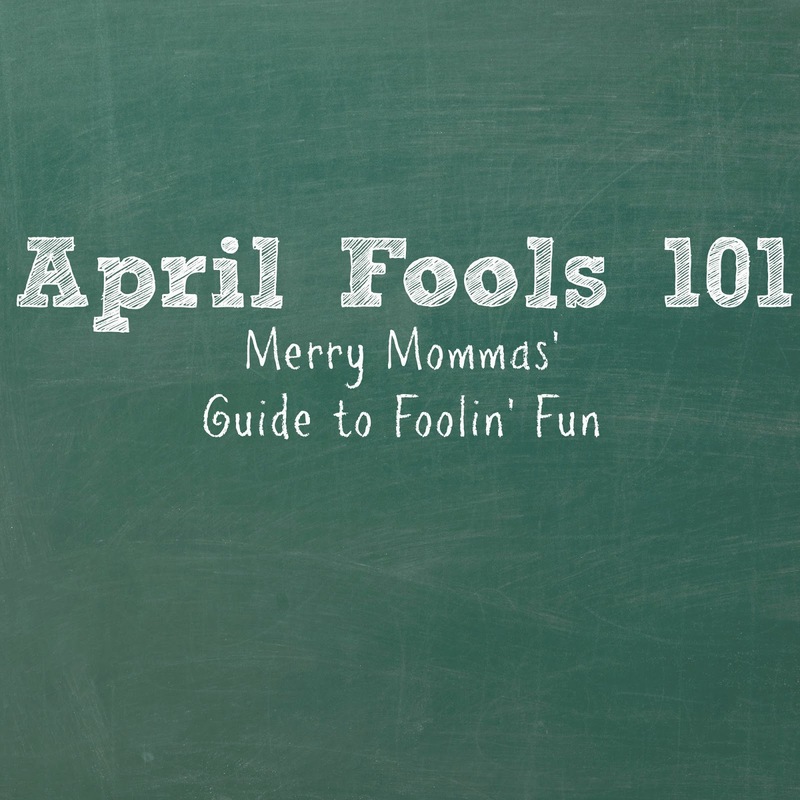 Tomorrow is April Fool's Day - and that's no joke. We actually talked about doing a fake post, but none of our ideas were that believable. Or funny. Now, rest assured that these are SIMPLE. Because, like us, you probably have 10582 things to do and also like us, you may be lazy. In our day celebrating St. Patricks meant wearing something green. We may be a bit crazy on the photo sessions, but that only happens every few months. Day to day we are normal, under-achieving moms. 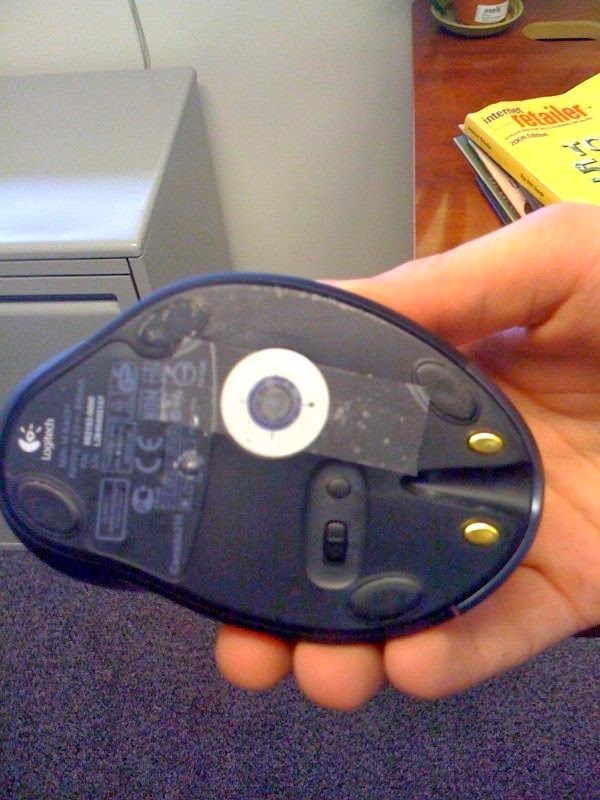 These pranks are easy, quick and require no mess making. Enjoy. 1. Make some Brown-Es - This is perfect because we are lazy and not very good at baking. Ingredients: Brown construction paper. 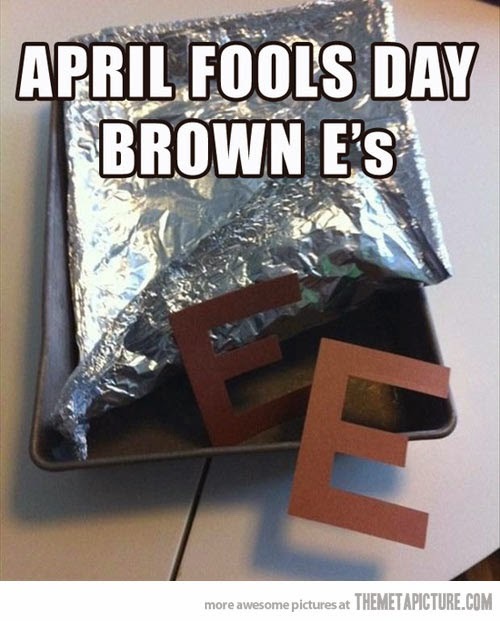 Directions: Cut out "Es" in paper, place in a brownie pan, cover with foil. Leave them out with a sign that says "help yourself!". 2. Cereal switch - switch the inner bags of cereal to different boxes and see how long it takes the family to notice. 6. Catching fools - Send a text to your nearest and dearest saying, "Hey! I lost my phone, can you call it ?" 7. 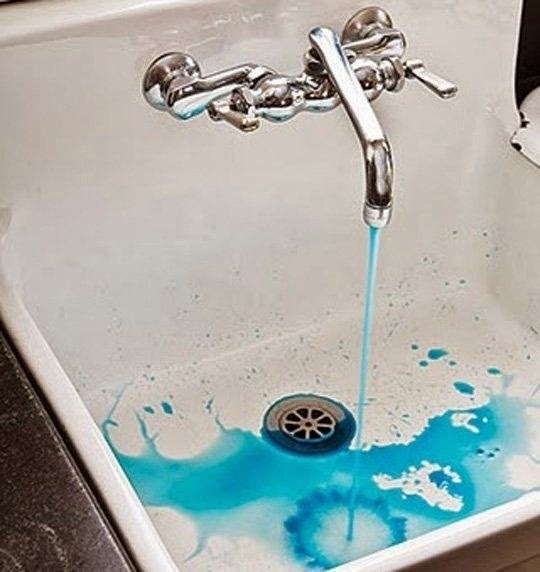 Water colors - If you have any bath color pellets for the kiddos, place a couple under the faucet cap and watch their faces when they go to brush their teeth. Have a fun day tomorrow! Post some pictures if you use any of these ideas! 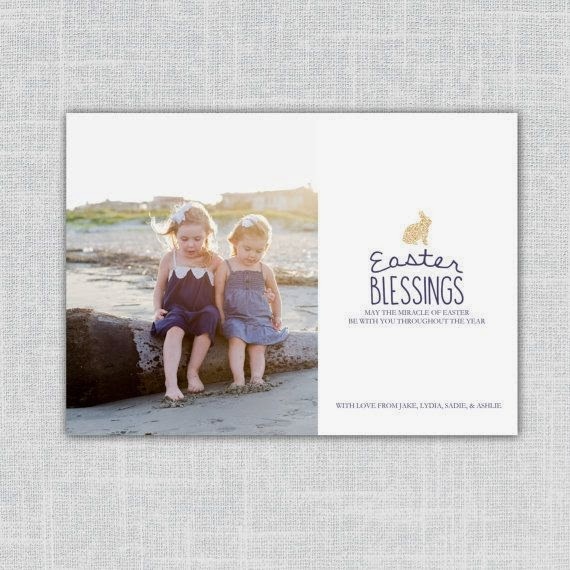 Easter Accessories and a GIVEAWAY!!! Y'all. We found out about these DARLING bonnets from The Beaufort Bonnet Company via Instagram and can't quit talking about how to work them into a photo shoot asap! 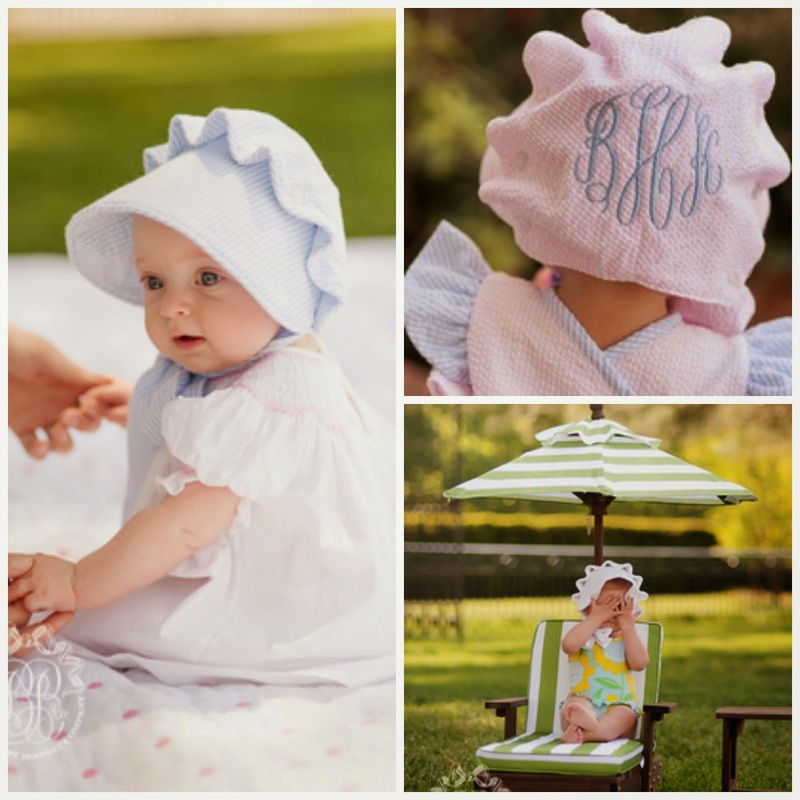 Y'all…bonnets, seersucker and a monogram…it's like a southern girl's heaven! 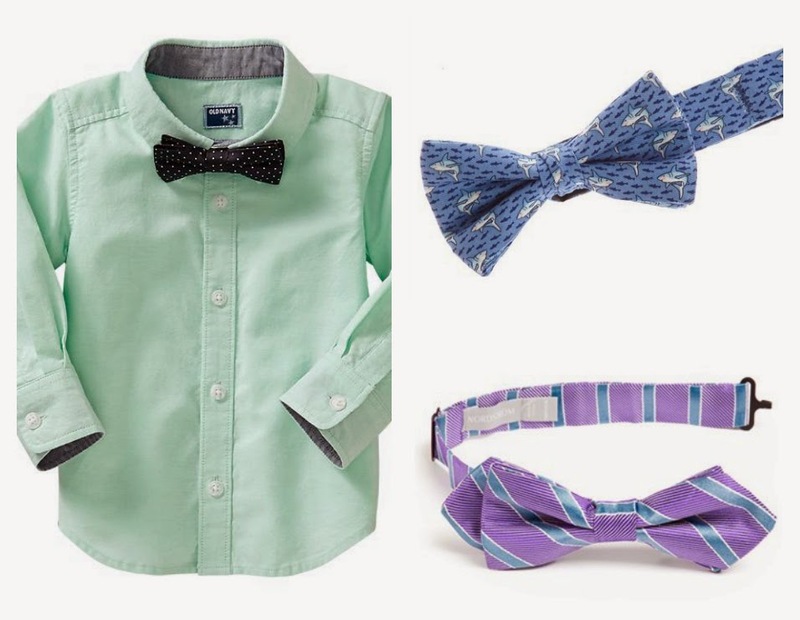 We must be on a southern streak, because our next accessory is bow ties! We think they scream Easter and Texas A&M's ex-president kind of made them famous here in Aggieland! Y'all. We buy 99.99% of the Royal Hot Messes (that's what we call our crew! fun, huh!) at Target…but every once and a while you need to SLURGE and Joyfolie shoes are the PERFECT excuse to spurge. Darling, cute, fun, awesome, wonderful, precious, amazing…there are not enough adjectives to describe these shoes…they really shouldn't even be called shoes. They. Are. Art! And because we REALLY want you to go to their website, we aren't even showing you the cutest pair…you have to click here! Merry Kiddo R, our only boy, is ONE COOL DUDE. Seriously, he has game and he is SIX. And, he rocks sunglasses. We recommend you get some for your boys! Aren't these shirts CUTE and FUN! ONE lucky person will be the winner of one shirt (pink or blue) valued at $20. And, you don't have to be local, we can mail you the shirt. Yep, it's that easy. Comment below and we'll close the contest at 12 midnight on Monday, March 31st. Thanks again to the ladies from And Sew On…! Where: Olan Mills or a church directory photo session … I'm not sure which one, but CLEARLY it is one or the other. Or maybe both…did (does) Olan Mills take church directory pictures? Comments: Brenda CLEARLY was listening to the Merry Mommas way before MMC could talk and MMK was even in existence. We have on coordinating dresses, but not too matchy matchy. Melinda in a prints, me in a solid. I like the lace detail too! We have our hair (or lack of hair) styled differently for fun and zest. By the way, that tiny bow (nothing like my kiddos' bows, ha!) is stuck on my head with corn syrup. 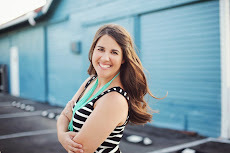 Also, Melinda's hair is super straight so I know that she had to sleep in sponge rollers the night before these pics! 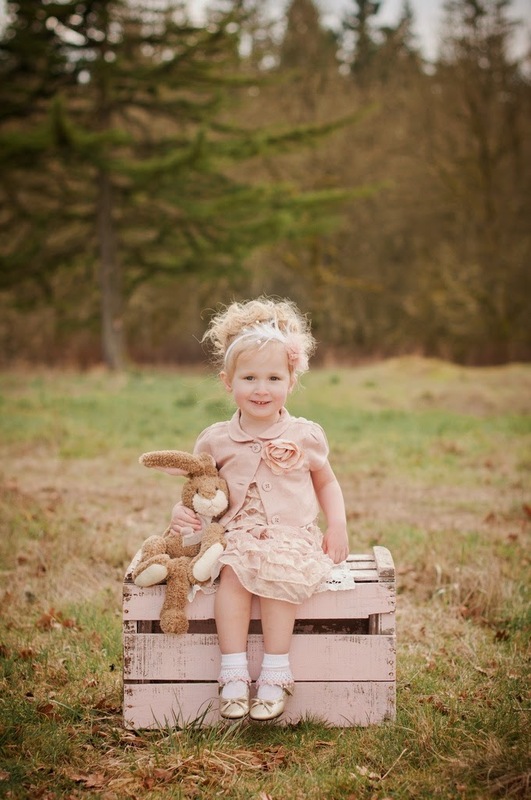 And she got dual use out of the dresses - Easter and pictures. Good job, Brenda! And as a tribute to the 1970s and because we always want to make you smile when you read our blog…check this out! Thank us later! Hi friends! We are all friends here, right? Okay, good. By the way, it's Merry Momma Cindy here and I have a confession. I don't really craft. I, mean, yes occasionally I get out some felt and glue or some spray paint and some wooden letters, but a CRAFT CLOSET - NO WAY. Closets are for clothes. SO...for all you non-crafter moms out there like me that get a TAD overwhelmed when you go to Pinterest and type in something like "Easter Crafts", this post is for you. 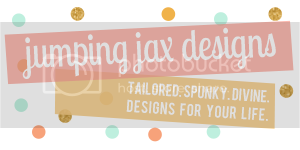 I picked three (yep, three is plenty) crafts that I think are relativiely fun, easy and don't involve glitter. 1. Hand and foot prints - Y'all. 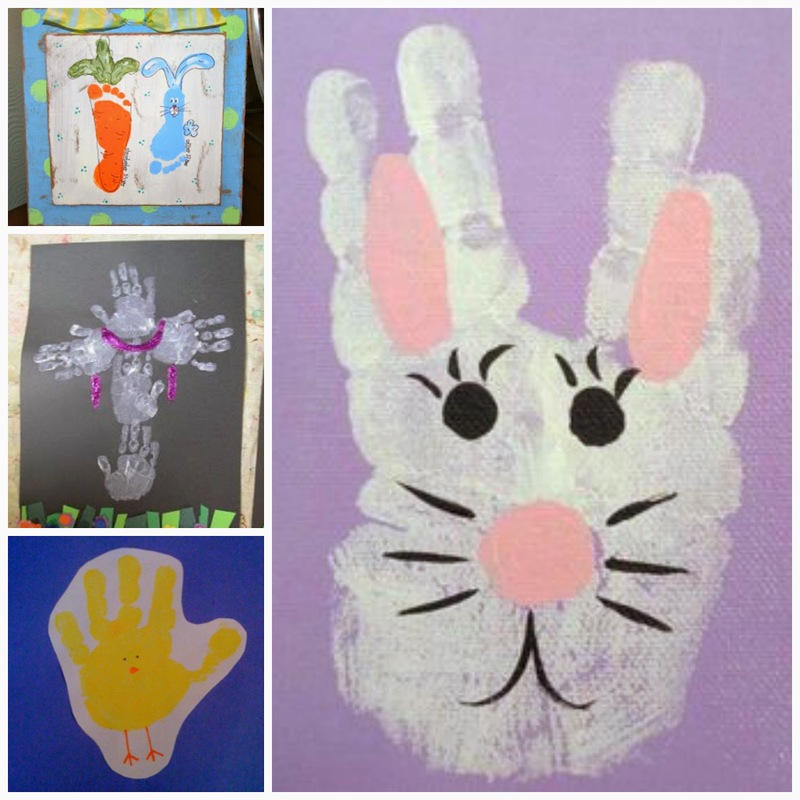 You can make a hand or foot print look like almost anything. SEE! So grab some paint, a few markers and get after it! 2. Easter Basket - Have any extra water bottles laying around? 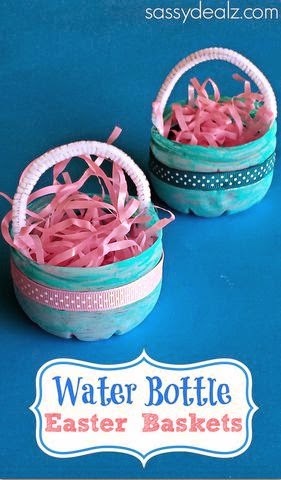 Sassy Dealz has a great use for them - turn them into mini Easter baskets! Every doll, barbie and G.I.Joe in your house will need one. 3. 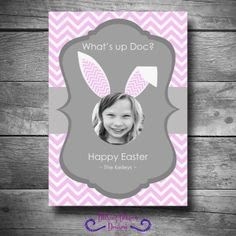 Place Cards - How fun would it be to have an Easter party for your tween/teen. 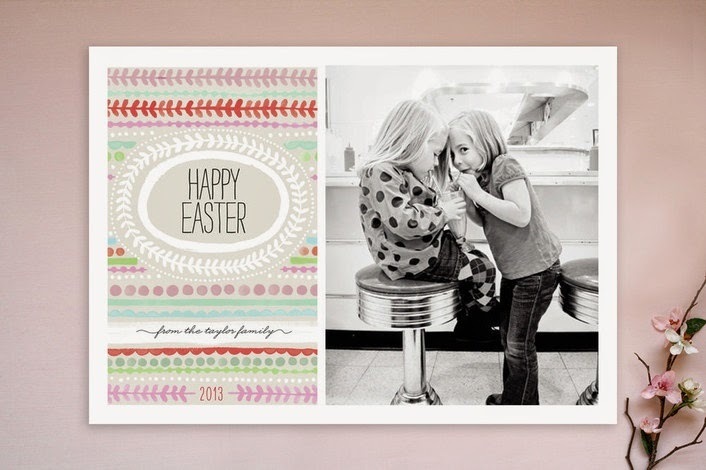 I think most of us think Easter Egg Hunts and parties are mostly for little kiddos, but I bet you lots of tween/teen kids would love to hunt Easter eggs and then sit down for a fun snack and these place card holders from By Stephanie Lynn are cute and don't appear to be too complicated! You and your tween could have some great bonding time making these for the party! Hi friends! Spring is here and Easter is right around the corner! 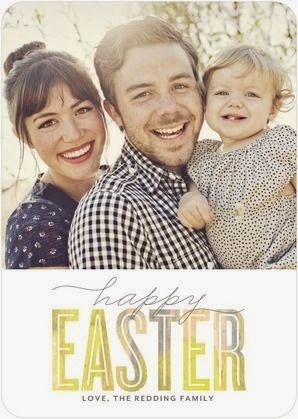 Many people use Easter as a time to have family pictures done and the Merry Mommas think that is SMART! One outfit, two purposes! :) We'll discuss Easter/Spring clothing later this week, so stay tuned…but today we are talking EASTER ANIMALS! 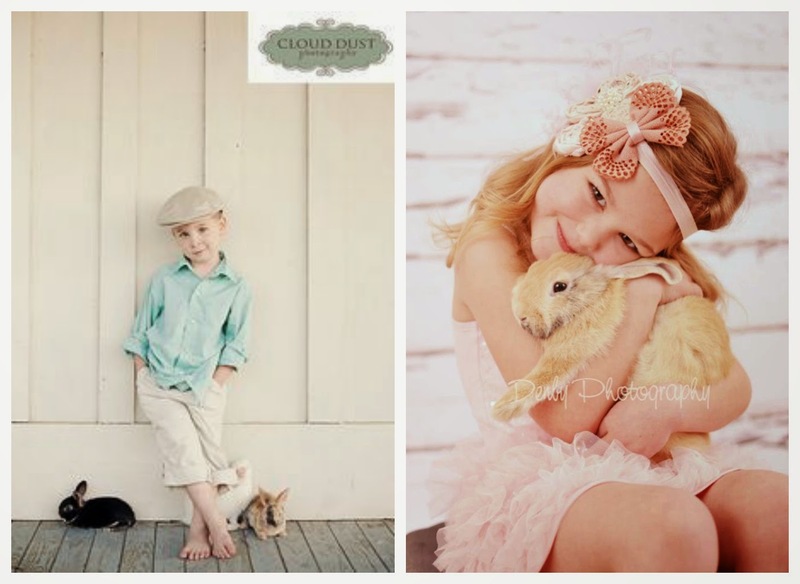 Yes, lots and lots of people have professional pictures made of their children with Easter animals and we think it is just too adorable! 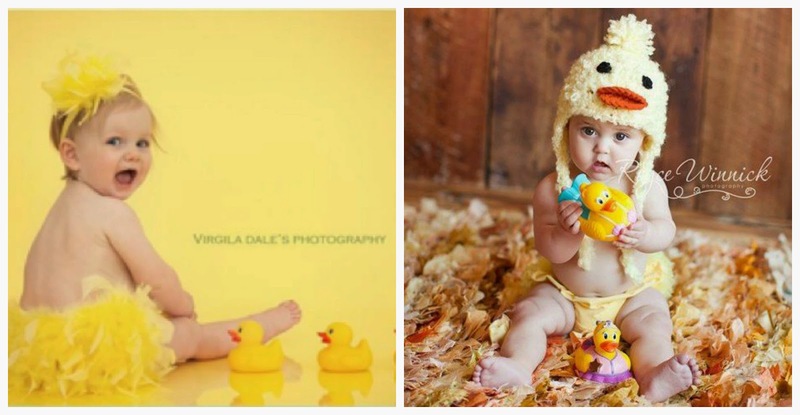 Sweet little ones dressed up as ducks! We're QUACKIN' about it! 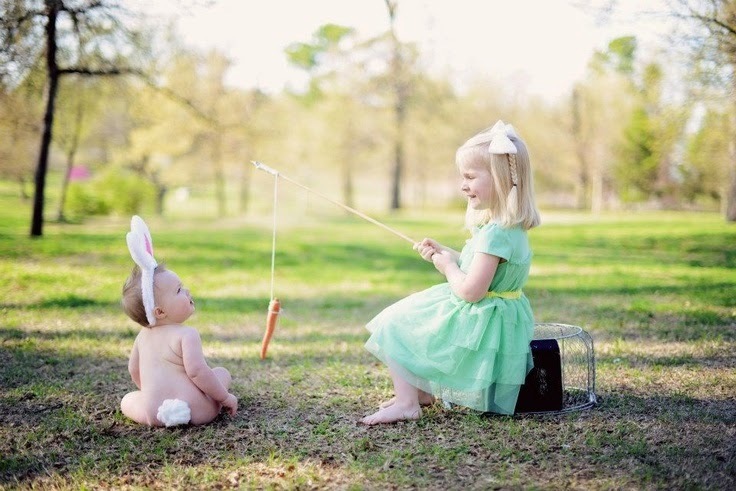 Sweet little ones with LIVE ducks…oh goodness! Y'all…if you have never checked out Munchkins and Mohawks, do it now! We love their work! Here's another darling duck session. And now on to BUNNIES! Live bunnies make awesome PROPS! 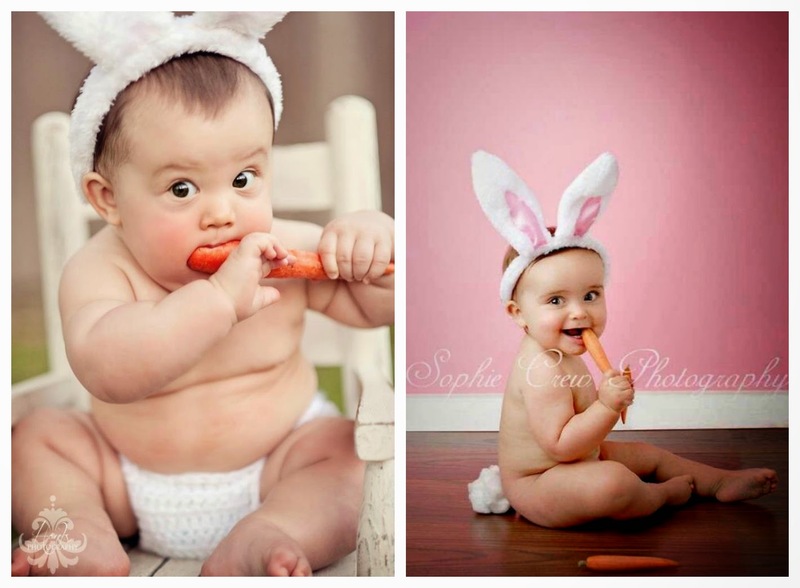 Again, you can't go wrong with dressing your baby up like a cute little bunny! 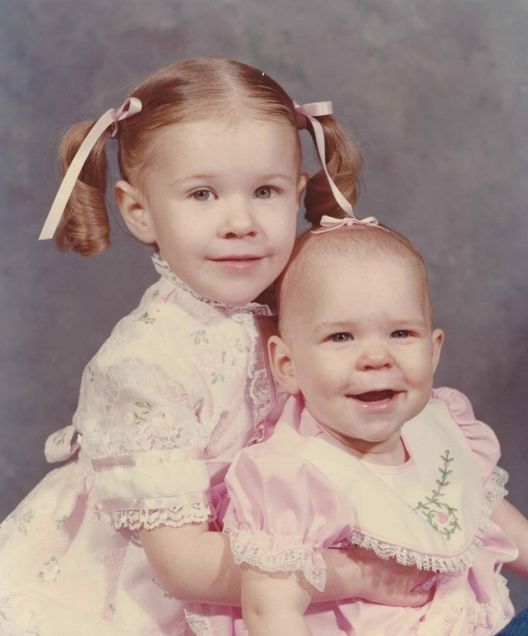 Merry Momma C & K are both little sisters and we TOTALLY *KNOW* this was the oldest siblings idea! 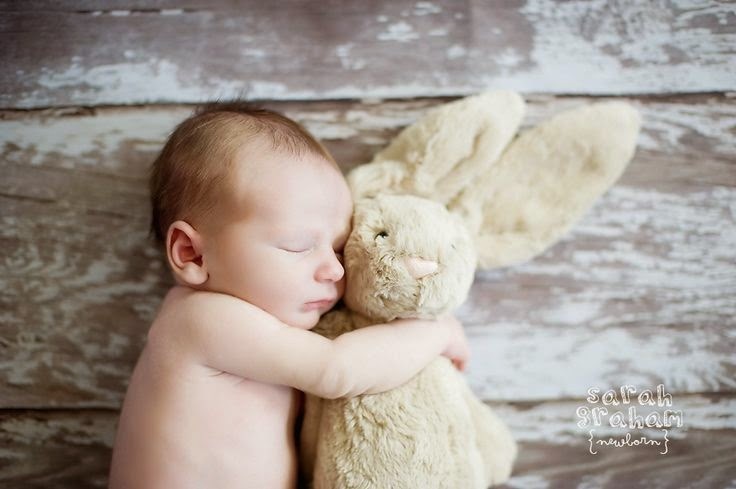 you can always go with the classic childhood toy bunny! We LOVE a tone-on-tone picture! A bunny is an always friend! And after you take all these cute bunny pictures, what do you do with them? YOU SHARE THE MERRY, of course! 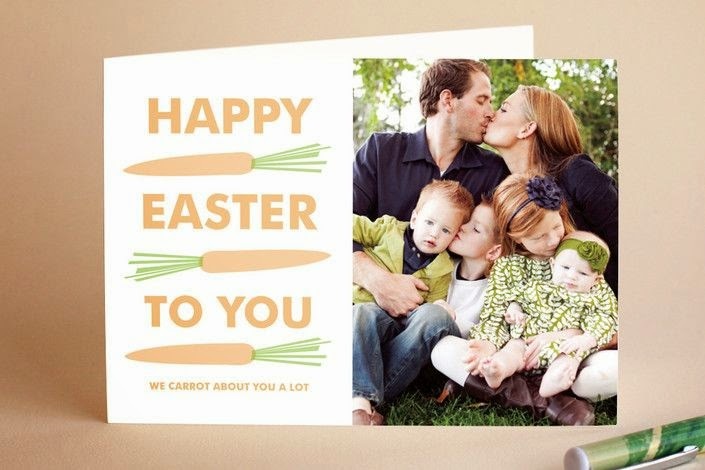 We love all of these bunny cards! 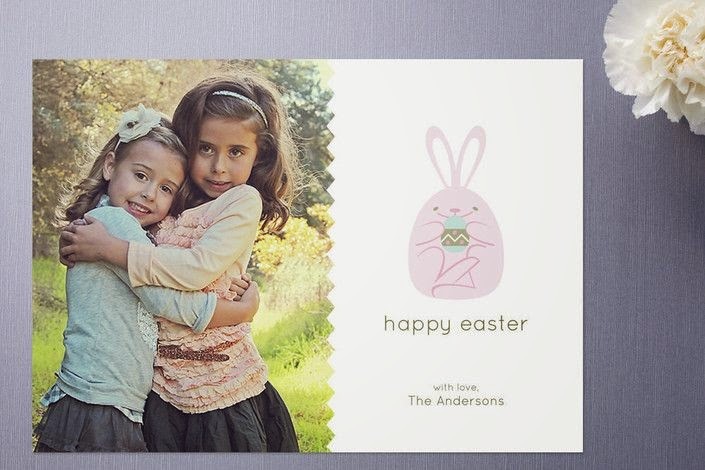 And…if you have a cute picture of your kid on your iPhone…order this ADORABLE CARD! Do y'all remember when you only had one mailbox? And it was either in front of your house or in an actual post office. The Merry Mommas do. (We know, we know, we both look 20...but we aren't!) The only mail you had to "worry" about was the mail coming into those actual physical mailboxes. Well, that's not the world we live in today. We have "mail" coming at us in tons of ways. And that's okay! Email, Facebook, Instagram, Pinterest, Twitter and all the other social media sites are fun and add things to our lives. But, the MERRY MOMMAS are real and know that they can also detract from our lives. Well, we stumbled upon this great article (on Facebook!) and wanted to share it with all of you! Y'all. We've got an awesome special treat for you all! 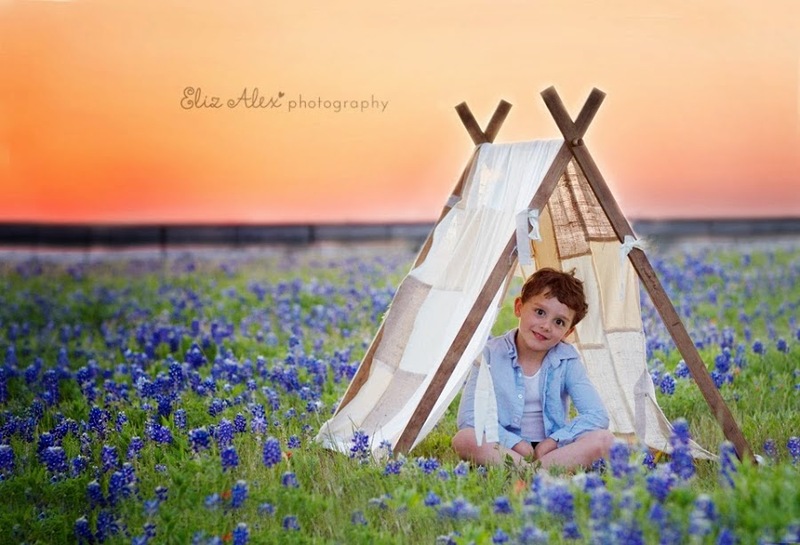 Today's edition of What We Love Wednesday features Expert Bluebonnet Photographers! 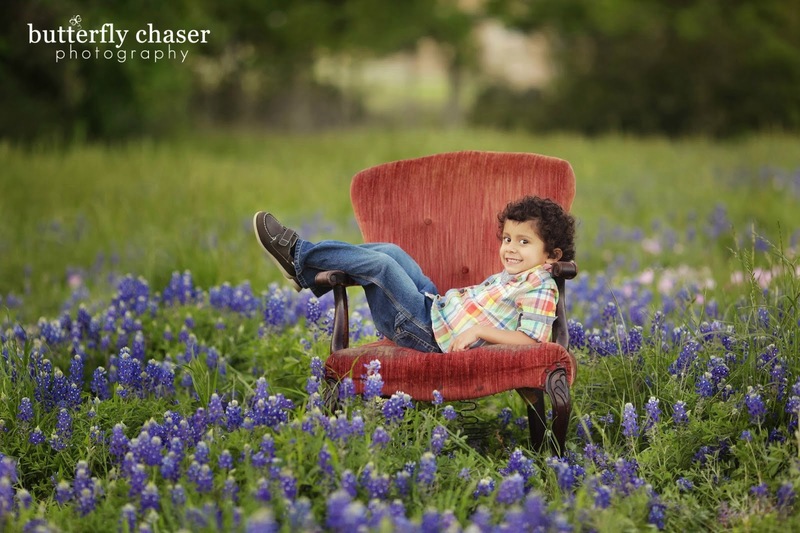 Yep, our three favorite local photographers are sharing the scoop on getting the PERFECT bluebonnet picture. 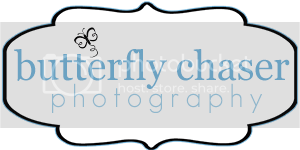 Our photographers are Sarah Burns of Butterfly Chaser Photography, Tamara & Alex Garza of Garza Photo Design and Chantal Bergeron of Whimsy & Style Photography. We asked them the same serious of questions and here is their expert opinions! Thanks guys! We so appreciate your EXPERTISE! 1. 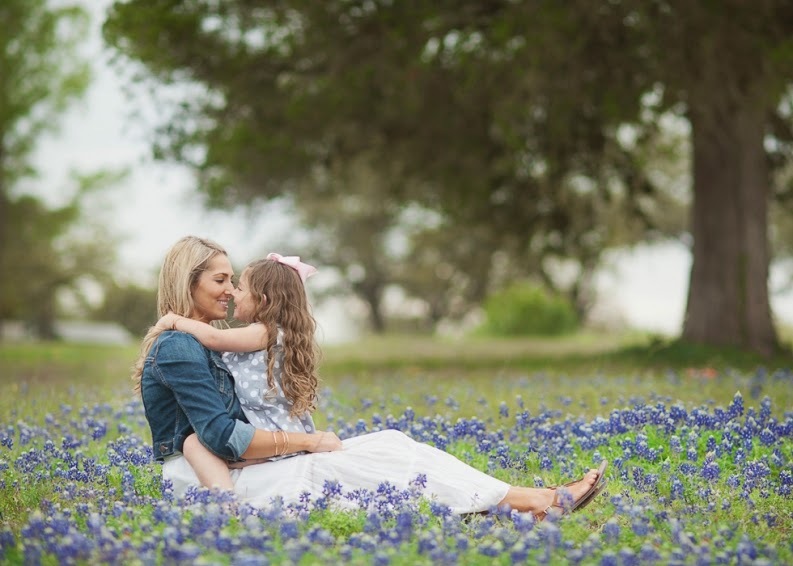 What's your favorite thing about shooting in bluebonnets? SB - I love to shoot outdoors in natural settings best, and what's prettier than bluebonnets in the spring?!?! I also enjoy seeing the yearly change in my bluebonnet clients! TAG - The fact that it has become a Texas tradition - almost like a Texan right of passage. One of the best parts of living in *this part* of this great state is that the bluebonnets can be found so easily roadside. And part of the fun of getting those great bluebonnet photos is finding that perfect pasture, field or highway median, and taking an afternoon drive to... say Navasota, Washington-on-the-Brazos or Brenham (Did someone say ICE-CREAM?). A great example of how the journey IS the destination - then you have a great souvenir to show for it. 2. Not so favorite thing? CB -Not gonna lie--much as I try not to think about them there's definitely the potential for snakes and critters to hide out in bluebonnets...I generally try not to put kiddos anywhere where I can't see the ground to minimize this risk but when bluebonnets are in full bloom it often isn't possible to see the ground. 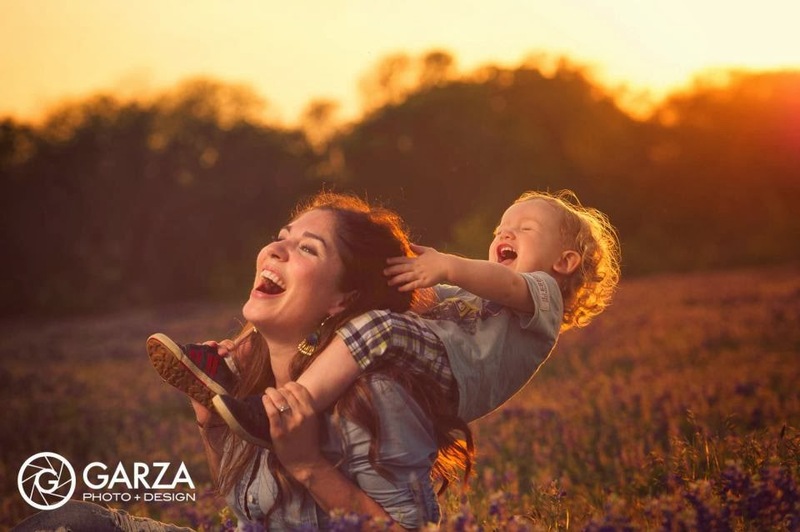 I always make sure I stomp around, make lots of noise, and inspect my "area" carefully before I put kiddos down anywhere; or I put kiddos on a prop of some sort (like my little gold bed or my antique blue chair...or even a blanket) to get them off the ground. Working with "runners"--highly active kiddos abouts 2-6--is the most difficult in terms of minimizing this risk. 3. What should your clients wear? TAG - I think this is a personal preference. Call me old fashioned, but I like the look of little girls going classic in yellow or white smocked dresses or boys in a buttoned down oxford. Boots are so much fun too and, of course - totally Texan! In the case of our photo... we were just wearing what we were wearing with no real plan... I love the image beyond words in spite of the fact that we weren't "coordinated." CB - Bluebonnets have a *very* traditional feel to me...they don't necessarily *need* to be paired with more traditional clothing...with some careful selections bluebonnets could definitely be modernized or paired with a pop of color...but as a general rule I like to pair traditional feeling clothes with bluebonnets. I generally prefer lighter soft colors for bluebonnets--you can truly never go wrong with a monotone color palate--creams and blues in particular. 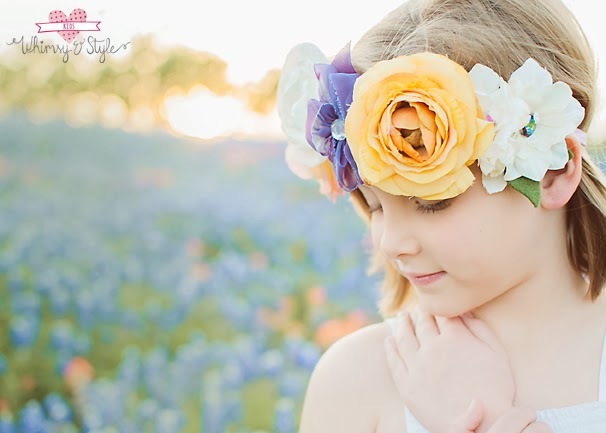 Soft yellows, pinks, and purples and vintage-y tiny print florals all work well in bluebonnets. Well Dressed Wolf--if you haven't heard of them already you really, really need to! Vintage inspired, classic dresses with a slightly modern twist. Be sure to keep up with their Facebook Page--they will post to let people know which dress are being released....and be sure to be ready to go with fast fingers when they load their dresses (typically Thursday evenings). Their dresses--most recently acquired by fashion mavens such as Sarah Jessica Parker--will sell out in minutes if not seconds. Eden's Bouquet--simply chic vintage inspired dresses, bloomers, and frocks. THIS headband...I die. 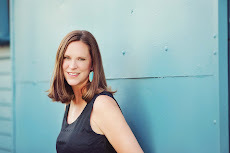 And OMGee...Lacey Lane for a retro style bluebonnet shoot...swoon...anyone have a vintage VW camper like THIS I can park in some bluebonnets to go with it?!?! Have a vintage dress that's been in your family for years...well NOW is the time to pull that sucker out! Did I mention Well Dressed Wolf? 4. Should you use props? TAG - We are personally fans of natural expressions and capturing the raw moments... and thus not *huge* fans of pinteresty props, however "setting the stage" for a shoot by bringing items to interact with are great... like bubbles or a picnic blanket. When I was little, we took photos with ducks and baby chicks, which also make for great expressions on kids faces. 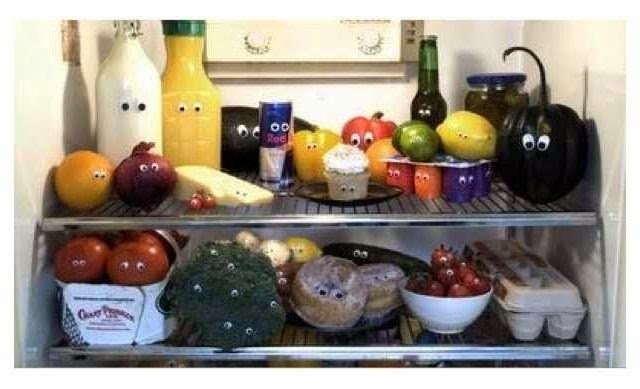 CB - The better question is: "when should you *NOT* use props" lol! Of course props should be used with bluebonnets! While the bluebonnets themselves are the best prop of all it is helpful to have something to put the kiddos on--to minimize the critter risk described above as well as to just make the kiddos more comfortable (many--especially more sensitive kiddos or those with sensory issues--tend to freak out when plopped down in a field of itchy grass or even softer bluebonnets). Putting an quilt, chair, or other prop down generally helps them feel more comfortable. 5. Any other information or advice? SB - The best times of day to take pictures in the flowers are RIGHT at dawn (like 7:30) or in the evening right at dusk (also 7ish at that time of year). I frequently see people taking pictures after church of their kids in the blooms but midday is the worst time of day to attempt a shoot in full sun. TAG - To get the most of your bluebonnet photo... the key is LIGHT, LIGHT, LIGHT. We'd typically employ any (or both) of our two techniques for capturing great images. The first would be shooting during the "golden hour" (that is about 30 minutes before and after the sun sets). 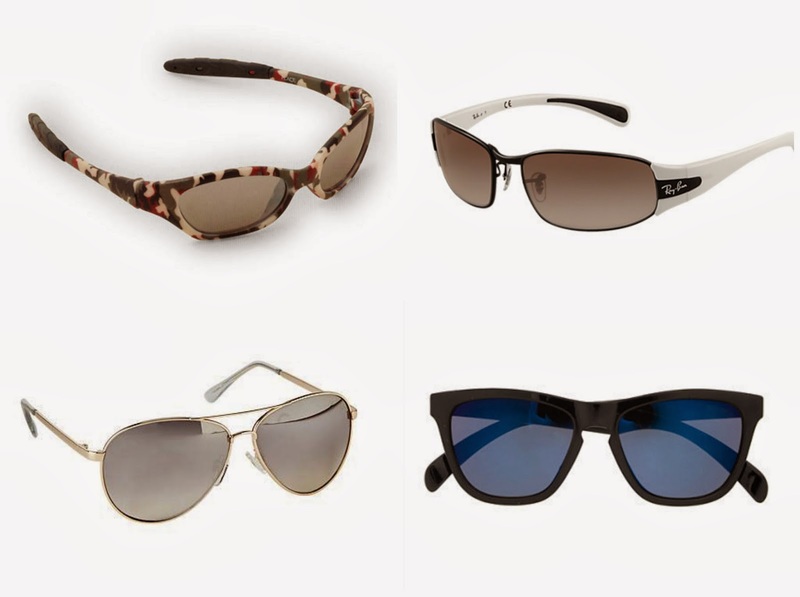 This ensures great even light across faces and figures. But if that is not possible, we would employ the second trick. A lot of folks will be inclined to have their subjects look into the sun... it makes sense.. but that unfortunately results in squinty eyes and / or harsh shadows across your face (not flattering unless you're the Marlboro Man!). The trick is to point the camera into the sun, putting your subject between you (person with the camera) and the sun. If you're getting substantial glare, you can shield the lens a bit with your hand. Having the sun behind the subject can make for a beautiful "rim light." That's photo-speak for the pretty way that the sun highlights the edge of your subject's face or hair, separating it from the background (our photo is a great example of this). As photographers, we're perfectly comfortable saying you *don't* always need a pro to take a great photograph. 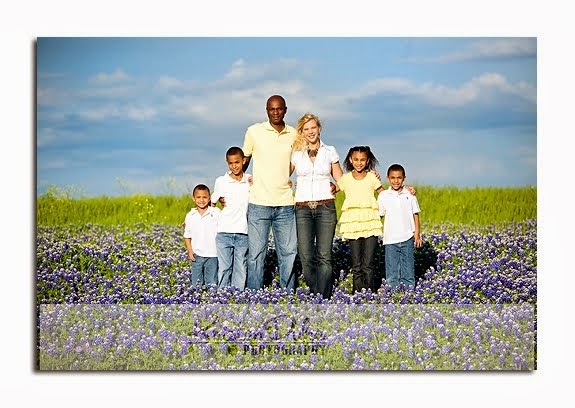 With a few pointers, anyone can take the perfect bluebonnet family pic! And because there is no way we could post without pictures, enjoy their work! You can't talk about Texas - and run a blog that discusses photography - without mentioning our state flower - the BLUEBONNET! 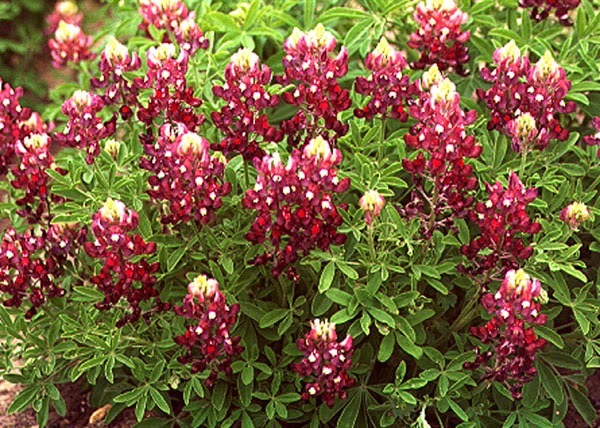 According to The Handbook of Texas from the Texas State Historical Association on March 7, 1901, the twenty seventh Texas Legislator adopted the bluebonnet, flower of the annual legume Lupinus subcarnosus, as the state flower. Texas, of course, has a Bluebonnet Festival. You should check it out! Chappell Hill is right down the road from the Merry Mommas...we might see you there. And...y'all. Check out this website - Texas Bluebonnet Sightings. Yes. It is a website totally dedicated to help YOU find bluebonnets! 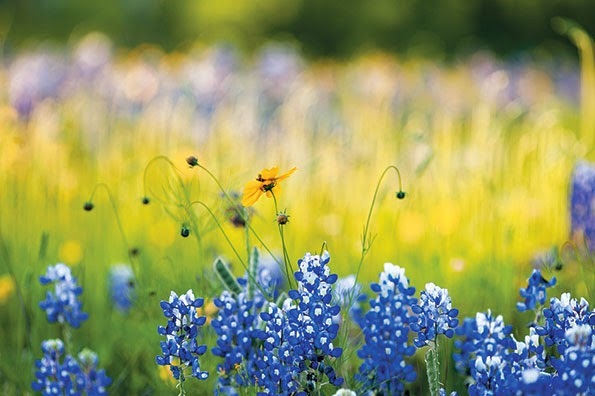 And it's easy to see why they are our state flower, we have festivals for them and a website dedicated to finding them -- bluebonnets are just beautiful, aren't they! They are so stinking beautiful that you just have to plop your kids, dog, etc. right down in a huge field and take your annual bluebonnet picture! See, bluebonnet pictures are so FAMOUS that the New York Times even did a story on them, read it here. Texas Week: Merry Christmas Y'all!